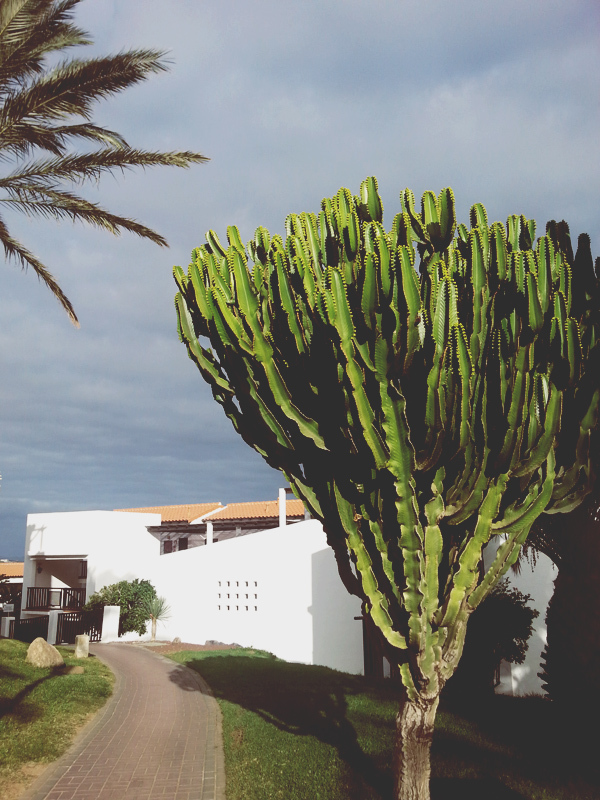 My favourite plants of Fuerteventura. 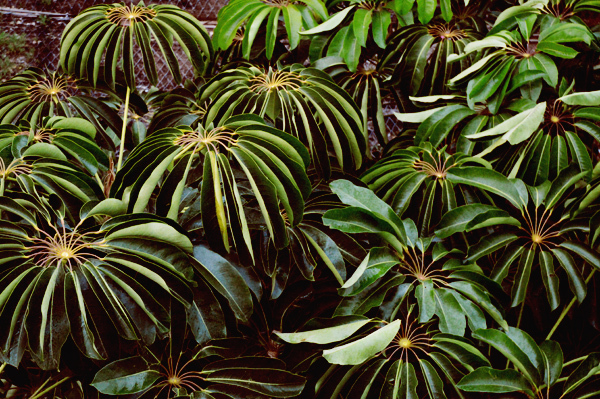 Yes I am that type of plant geek that wanders around looking at the flora of a new country. I can’t help it. I point out ‘look at the cactus’ to the boys, not caring if they are interested or not, I am. 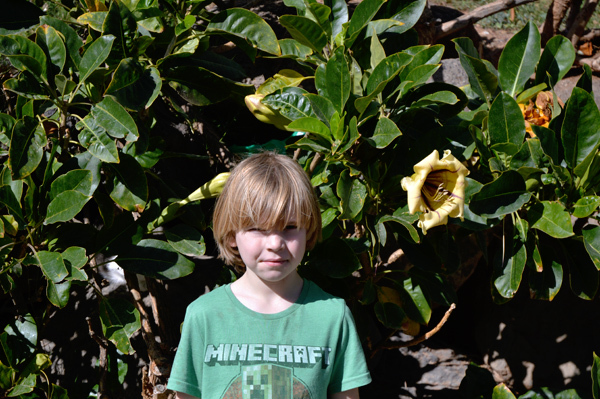 Beautiful exotic blooms and one minecraft addict! The hotel, Magic Life, was beautiful. 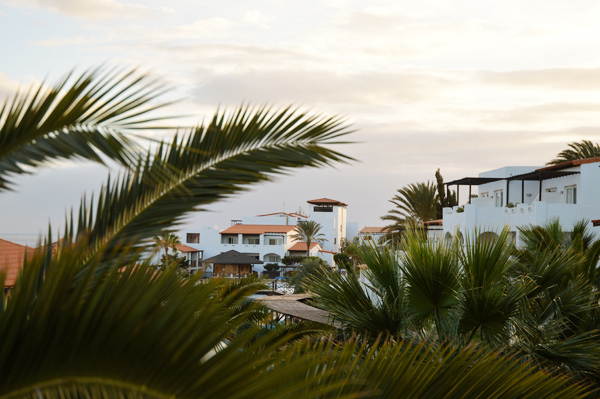 Several white washed buildings clustered around the pools, with wonderful views of the sea. 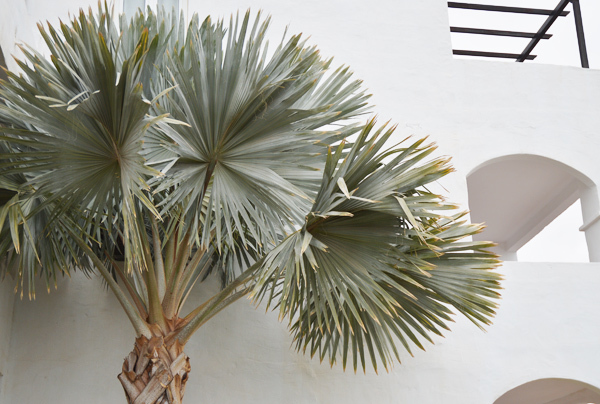 The planting around the hotel buildings, restaurants and poolside was immaculate. 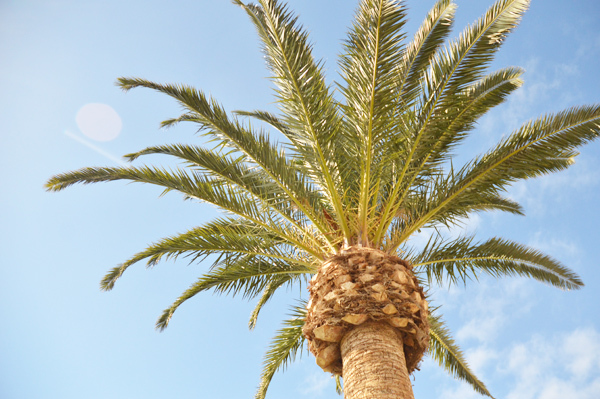 Soaring palm trees, cacti, exotic mimosa bushes. Plant heaven! It was so lovely to find such greenery and perfect flowers in January, when here in the UK such things are few and far between. We need to get some exotics in the house…. perhaps an Aloe plant or two.